ZeOmega provides expert clinical and program design consulting services to ensure that you gain maximum value from your investment in the Jiva™ Population Health Management Solution. Our team of licensed clinicians will work with your clinicians, analysts, and business representatives before, during, and after your implementation. They will also be there when you add a new line of business or new software modules, and when you undergo an organizational change. They can also assist in assessing medical management compliance and accreditation readiness. ZeOmega also offers extensive resources to help with your transition to value-based care. Over 100 technologists with deep expertise in healthcare data, workflow, and analytics. More than 20 clinicians who specialize in leveraging technology to improve clinical operations. Vast experience in both provider and health plan environments. 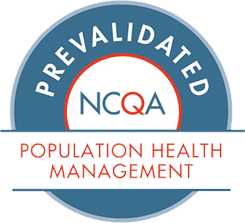 Extensive population health management insights from the health plan perspective that can help ease the provider’s transition to value-based care. A complimentary brochure to to learn about ZeOmega’s unique and innovative value-based consulting services.